Eibach 90.6.20.028.1 - Eibach MAZDA MX-5 Miata PRO-SPACER Kit, NC; 2006-2015. All Eibach Springs, Inc. ("Eibach") Suspension Springs, Anti- Roll-Kits (excluding “hardware”) Pro-Spacers, Pro-Dampers and Pro-Truck Shocks(including Sport and Sport Leveling)(collectively, "Products") are covered by a Million-Mile warranty(the Warranty). The Warranty covers the Products against factory defects in material and workmanship, other than coatings, when used on passenger cars and light duty (class 1-3) trucks under normal use and operating conditions. These Warranties only apply to the original purchaser who retains ownership of the vehicle on which the Products were originally installed (the "Purchaser"). Eibach Springs, Inc. will repair, replace or refund the purchase price of the defective product at Eibach Springs, Inc.’s sole digression, which shall fully satisfy and discharge any and all warranty claims. All Eibach Springs, Inc. (“Eibach”) suspension Coilover Systems (Pro-Street-S / Multi-Pro-R1 / Multi-Pro-R2, Multi-Pro-Drag), Drag-Launch (Air bags only), Pro-Alignment Kits and Anti-Roll-Kit hardware (collectively, “Products”), are covered by a 12-month warranty (the "Warranty") from date of purchase. The Warranty covers the Products against factory defects in material and workmanship, other than coatings, when used on passenger cars and light trucks under normal use and operating conditions. These Warranties only apply to the original purchaser who retains ownership of the vehicle on which the Products were originally installed (the "Purchaser"). Eibach Springs, Inc. will repair, replace or refund the purchase price of the defective product at Eibach Springs, Inc.’s sole digression, which shall fully satisfy and discharge any and all warranty claims. History and information about Eibach and their products. The people at Eibach and LMPerformance know that the performance driver wants immediate response, reduced body roll, increased stability, enhanced cornering ability and a lower, more muscular look in their vehicle. But did you know that installing aftermarket Eibach lowering springs, and an Eibach suspension can result in better fuel economy. Aftermarket Eibach lowering springs are generally lower and Eibach&apos;s Pro-kit springs are typically one inch lower than its original parts. When you install this kit the body ends up riding lower on the wheels. Lowering the body reduces the frontal area of the vehicle which, when multiplied by the drag coefficient, reduces the total drag for the vehicle. This can result in greater fuel efficiency. An unexpected bonus at today&apos;s fuel costs. 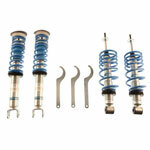 Why choose Eibach coilover springs or an Eibach pro-kit? 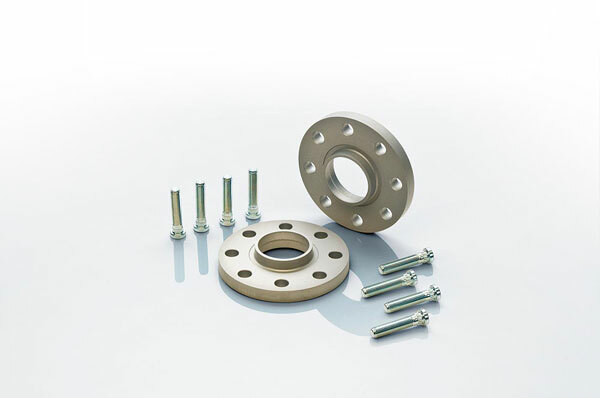 Eibach suspension systems are one of the leading manufacturers of aftermarket suspension components and uses high-strength spring-steel alloys, an advanced CNC winding process, and offers high-quality corrosion protection. The Eibach engineers tune the individual components to provide more direct handling and greater predictability. Eibach has a Quality Control System that is certified by the highest ISO 9001:2000 international quality standard and operates in accordance to its own, often more rigid, specifications. LMPerformance can help get the performance you want with the added bonus of fuel economy with aftermarket Eibach coilover springs or an Eibach suspension system. LMPerformance carries a wide selection of Eibach parts, including Eibach springs, Eibach Coil over kits, Eibach shocks, Eibach suspension kits, Eibach swaybars and Eibach wheels for your car and , of course, a great price. In the market for an SLP Exhaust Tip? Look no further! Below are other popular parts other customers have purchased for their Mazda Miata / MX-5.